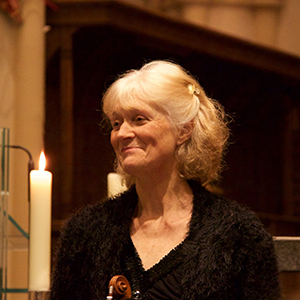 The english viola-player Prunella Pacey has specialized her whole life in chamber music, especially the string quartet. She was a member of the famous Allegri String Quartet and after her move to the Netherlands the viola-player of the Mondriaan Quartet. She was professor of viola at the Utrecht Conservatory and at the Royal Welsh College of Music and Drama. She is currently a member of the Arto Ensemble and a frequent guest teacher at Xenia Chamber Course in Italy.